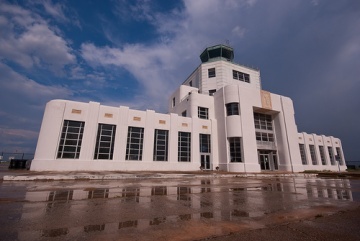 The Air Terminal Museum is centrally located in Houston and is housed in a 1940 art deco building that previously served as Houston’s original air terminal. The newly renovated atrium area provides a beautiful venue for your next reception or party. The Museum offers a stunning backdrop for any function that is normally held outdoors. We can also offer open ground for a tented function. The museum itself is a wonderful, information-rich space for a wandering mixer or birthday party. 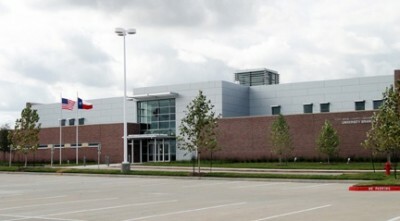 In June 2012, Aurora relocated to a new location in the Rice/Kirby area which houses the administrative offices, video library, education space and screenings in one location for the first time in the history of the organization. Our screening room, administrative offices, education space and video library are located in the Aurora Media Arts Center near the Rice/Kirby area. We do host events across the city though, so please make sure you confirm the location for your event. 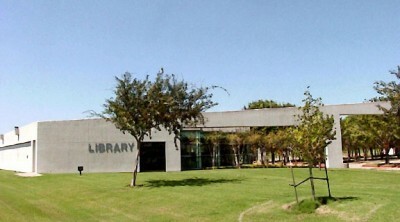 Though we screen and have events in many locations, the Aurora Headquarters (including the Aurora Video Library) are located in the Menil Museum area. We have a private viewing room and many great films, so come visit us today. 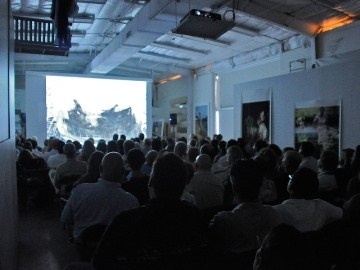 The Aurora Video Library, located at 1524 Sul Ross (next door to the Menil Bookstore), is a non-circulating collection of over 800 DVDs of artist-made film and video. Educators, artists, and the general public are invited to make appointments to view the collection by calling 713-868-2101. Library visitors are hosted in a private viewing room with video projection and comfortable furniture. The viewing room can accommodate groups of 8 or less, while groups up to 30 can use the Aurora conference room with LCD screen. The library is located at 5111 Jessamine, in the City of Bellaire. Next door to the Fire Station construction, across the street from the Police Station. The Children’s Museum of Houston provides bilingual family learning programs and educational services to a broad cross-section of families, including those who visit the Museum and/or access the services of area schools, childcare centers, community centers, public libraries, and social service agencies. We serve more children than any other children’s museum in the U. S., on a per square foot basis! We house 14 multidisciplinary and bilingual exhibits, a 166-seat auditorium, and the Parent Resource Library, which offers a diverse array of materials on parenting and early childhood education. We devote more than 87% of our annual $6.9 million operating budget to directly provide for or fund educational efforts. 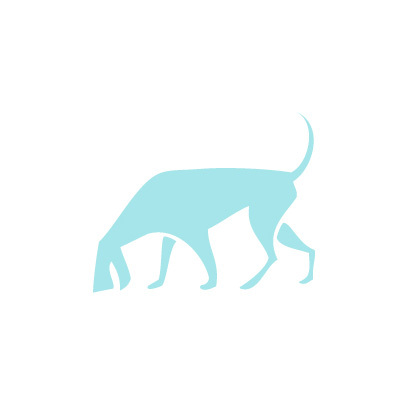 We are a team staffed by 52 full-time and 65 part-time employees. Over 95% of the Museum’s full-time staff hold degrees in their field and 22% have advanced degrees. More than half of the Museum’s employees are members of a racial/ethnic minority group. Come to the Museum today to see what we’re all about! Clayton Library is located at the corner of Caroline Street and Calumet in Houston’s Museum District. The library is four blocks north of Hermann Park, and just across the street from the Holocaust Museum.Main Building: Houses the U.S., states, and foreign collections, ready reference material, finding aids, map collection, CD-ROM collection, electronic catalog terminals, and library administrative offices. The library’s microprint collection is located on the second floor of this building. Clayton Home: Houses the family history collection, the family history vertical file, and a collection of family charts. The Czech Heritage Society of Texas Library and Archives is staffed by volunteers of the Harris County Chapter and the Harris County Chapter CHS pays one-half of all Library and Archives expenses. The Library and Archives are also supported by the CHS State Library Fund (maintained in the CHS Special Funds Account). The Library Fund is separate from the CHS Annual Budget and Operating Account. Regular library hours are Wednesday from 10am – 7pm. You can call the library and leave your name and telephone number if you would like to make an appointment to visit the library or if you need any other information about The Czech Heritage Society of Texas or library. The library contains census CD’s, funeral records, tombstone records, emigration records, marriage records, naturalization records, plus various family histories. A copy machine is available as well as a computer with internet access. Any donation of books, materials and artifacts are most welcome and can be made by contacting the Library. Located in Fulshear, Texas, across from the U.S. Post Office. 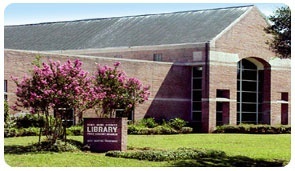 Bob Lutts Fulshear/Simonton Branch Library opened in May 1998, the third branch voted for in the 1989 bond election. The land for the library site had been the Precinct 4 headquarters, and was offered for the library site by the precinct commissioner, Bob Lutts, who had taken on the task of seeing the library project through. The Fulshear City Council requested that the county name the library for Commissioner Lutts. (This library is now in Precint 3.). Located in Katy, Texas, across from the Cinco Ranch High School, just off Cinco Ranch Boulevard. The library is about one block from Grand Parkway, or Hwy. 99. BRANCH ON FACEBOOK: https://www.facebook.com/Cinco-Ranch-Branch-Library-FBCL-1016886421724418/ The Cinco Ranch Branch Library opened as a mini-branch, called Katy/Fort Bend Branch Library, in June 1998, in a small room on the University of Houston’s Cinco Ranch campus. It was operated entirely by volunteers. 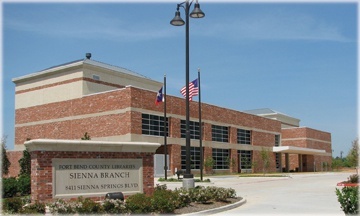 Rapidly outgrowing its small space, the branch was moved in 1999 to the former sales office of the Cinco Ranch development company, as a result of efforts led by the Katy/Fort Bend Friends of the Library. The little library’s collection, services and programming was very limited by space, and as the community continued to expand, demand for a larger library increased. The late Judge Jim Adolphus negotiated the donation of a library site from Cinco Ranch developerTerrabrook, secured a challenge grant, and co-hosted (with county judge candidate Bob Hebert) a fundraising gala for the challenge grant. The community, led by the small but effective Friends organization, worked with county officials to find funds for the construction of the new 33,500-square-foot building. The new library opened for business April 3, 2004. Located in Sugar Land, Texas, at the corner of Austin Parkway and Grants Lake. First Colony Branch Library opened in June 1993, the second of the four new branches built with bond-election funds voted for in 1989. It quickly grew to become the busiest of all of the library system locations. The 19,400-square-foot building was designed by architect Brooks Association for Architecture and Planning, Mark A. Stewart, Design Architect. The branch features a unique piece of kinetic art created by artist Jaroslav Belik – a Planet Clock. The clock is composed of a sun gear, a planet gear and a ring gear, and has only one hand, driven by a synchronous motor and an adjustment clutch. Time is shown by the angle of the hand and its radial extension. Located in Richmond, Texas, at the corner of Golfview and FM 762 (Thompson Rd.). 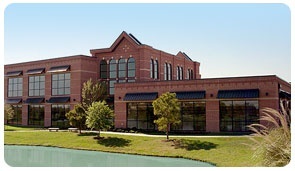 George Memorial Library (GML), the main library in the system, has the largest collection of materials in the Fort Bend County Libraries system. GML has a particular focus on large-print books, parenting, Spanish-language books, teen materials, literacy materials, and text books from FBISD. GML also houses the Genealogy and Local History Department on the second floor of the building; the department’s resources focus on the southeastern United States and includes materials relating to the history of the South, federal censuses, genealogy, and the Civil War. Located in Stafford, Texas, adjacent to Dulles Middle School. 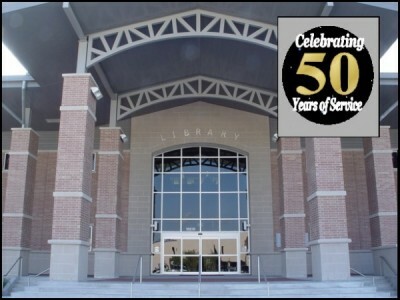 BRANCH ON FACEBOOK: https://www.facebook.com/Mamie-George-Branch-Library-Stafford-FBCL-1114026225327839/ Mamie George Branch Library opened in November 1974, and was named for Mamie George, a well-known Fort Bend County philanthropist. Her family was very instrumental in the early development of the Fort Bend County library system. Funds for the building were donated by The George Foundation, and the land for the library site was donated by the Fort Bend Independent School District. The 4900-square-foot building was designed by Wylie W. Vale and Associates, Wylie W. Vale, Design Architect. 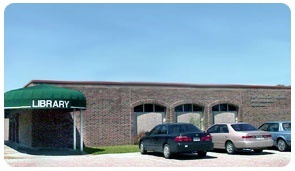 The branch was renovated in 1991, and in 1996, the small-business-center materials that were formerly housed at the Missouri City Branch were moved to the Mamie George Branch. Located in Missouri City, Texas, across the street from the Missouri City Civic Center and City Hall complex. 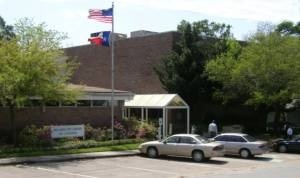 Missouri City Branch Library opened in June 1992, the first of the four new branches built with funds voted for in the 1989 bond election. Missouri City residents were very instrumental in the success of that bond election, and the land for the new library site was donated by Missouri City. The 18,642-square-foot building was designed by Hall/Merriman Architects, Bill Merriman, Design Architect. 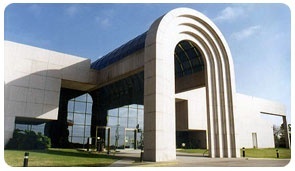 Located on the UH System Sugar Land Campus on University Boulevard at Highway 59. HOURS: Check your local library for current hours of operation and updated information. 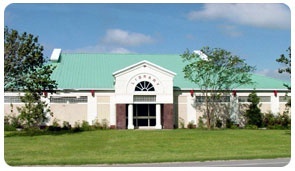 The Evelyn Meador Branch Library opened on June 26, 1988. The library was begun in 1985 when five interested Seabrook residents met with Commissioner Jim Fonteno to inquire about getting a branch library built in Seabrook. In 1985 the City of Seabrook, with the blessings of Rex and Evelyn Meador, donated to Harris County six acres of land originally given to the City by the Meadors. The donation was given with the stipulation that a county branch library would be built within two years of the donation. The Friends group was founded in 1985 by a small group of interested Seabrook citizens. The initial size of the library was to have been 4,500 square feet. However, the Friends wanted a larger library and meeting room for community use and raised the additional funds needed through book sales, donations and a Buy-a-Brick program. Through their efforts the library was expanded to 7,217 square feet. The President of the Friends at the time of the library opening was Jim Hargrove. There is a permanent display of Old Seabrook history in the library meeting room, which was created and is maintained by the Friends group. HOURS: Check your local library for current hours of operation and updated information.